Every year I see all the health excitement right after the New Year, and then I see that same excitement quickly fade by February 1st. You’re the only one that knows the answer to that question and my goal today is to help you shift beyond the motivation of getting healthy and start seeing the power of living healthy. My last 3 weeks have been an incredible adventure, and a powerful reminder of how much people truly want to live their best health. There is a desire in all of us to feel amazing, but it’s easy to let the daily stressors of life knock us off our game and push our food and fitness to the side. You see, health motivation only fades when you’re not having fun with your health. This is why dieting is so painful, cutting food and doing endless boring exercise is not fun. But Imagine making 2019 the year you make your food, fitness and overall health FUN. The year you make your health a priority, adventure and experience. That’s exactly what I did the last 3 weeks and as I share my journey with you, I want you to envision how you can take these same concepts and apply them to your own health journey. Our entire family took an adventure to Hollywood, California for the North America Jeunesse LEAD event. We did a huge Zen Project 8 experience and launched a global 30-Day Health Challenge. The lesson I was reminded of this week was living my health as a family. We rocked our MRFK (mobile readiness food kit) as a family. We exercised as a family. And most importantly we created life long memories and experiences as a family. This Picture is of me and Hunter on the Dolby Stage (where the Oscars are) loving the moment with a sold-out theatre and over 3000 of our friends. Keep reminding yourself to have fun and laugh with your health, one meal or one doughnut will never define your success. We flew back to Atlanta late that Monday night and then I got up at 4am ready for our company Venice Nutrition to launch a health partnership with Microsoft and GLO (Global Leaders Organization). 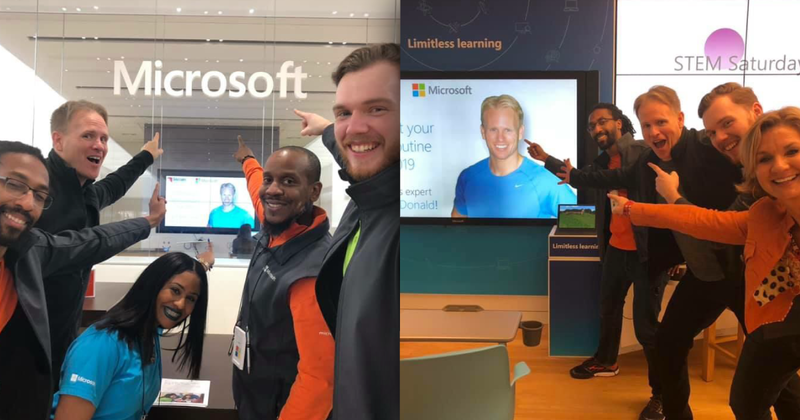 We streamed live from the Microsoft Store in Atlanta to every Microsoft store throughout the USA. The lesson I was reminded of here is that we’re all busy, we all want to feel better and we all want more balance. Regardless of age, goal or career, everyone I connected with that day simply wanted a better and stronger health that could become a way of life. Here are just two pics to help you feel you were at the launch with us! Keep focusing on carving out realistic time for your health each day, these daily shifts is how you move closer and closer to a balanced life. This past Sunday was another early wake up call for me and Hunter. I was reminded of a great food lesson as we drove into the HLN studios to have a fun-filled national tv segment. The segment was on the hottest new foods in 2019, basically super foods that you can add to your everyday meals for more variety and additional health benefits. It’s easy to get bored with your food, and once the boredom bug creeps in you’re in trouble. Go on grocery shopping adventures every couple weeks to experiment with new foods and be courageous to try new recipes for you and your family. 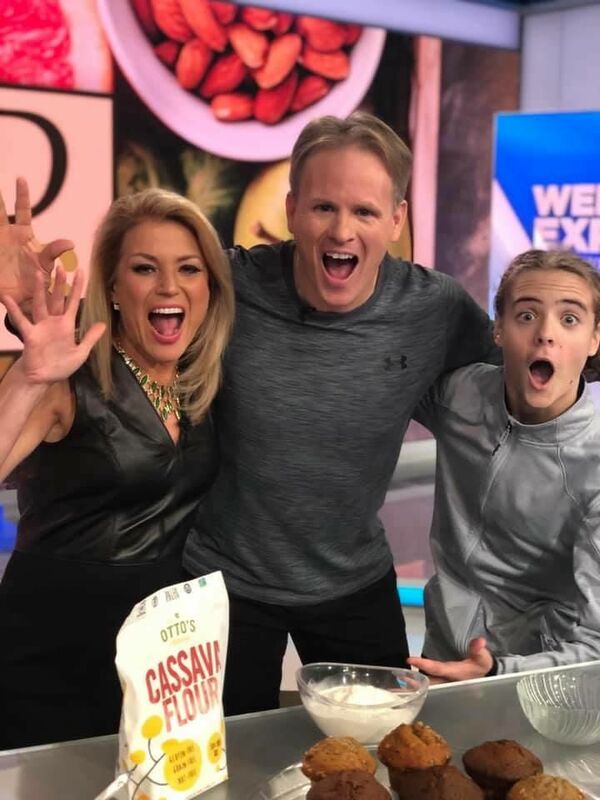 Check out the fun pic Hunter and I did with Super HLN Anchor Susan Hendricks, plus you can check out the segment here and see the 4 super foods we talked about. As you can tell from my last 3 weeks, we can all keep learning and growing with our health. Just keep seeing and believing in what can be with your health and stay on the path of 1% daily progress. 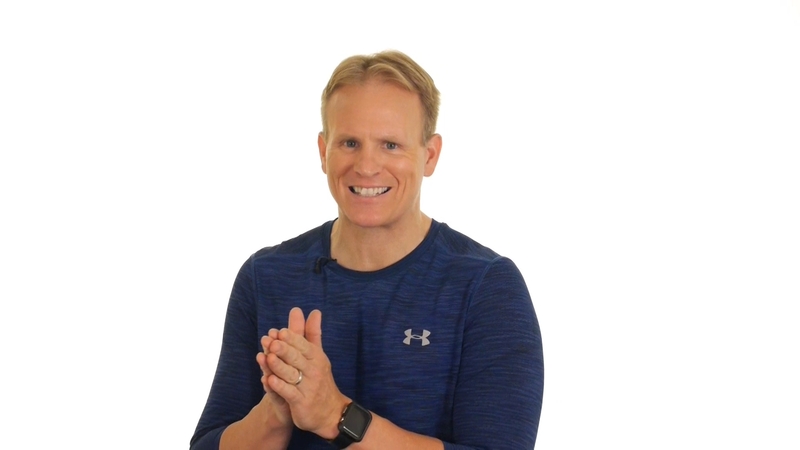 With that mindset – 2019 will be Your Health Transformation Year! 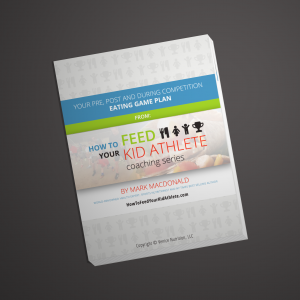 Now if you want even more info and are ready to get a full customized food and fitness plan, here’s a good video sharing the power of our 3 Venice Nutrition Programs, 2 are for adults and one for kids. 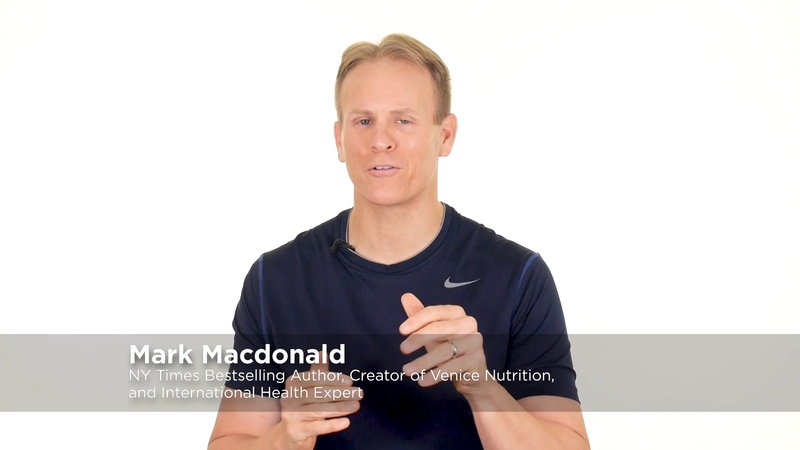 And If you are already rocking the Venice Nutrition Program and are looking to take your education and skill set to another level, check out our two certifications, Health Coach and Nutrition Coach. As always, Thank You for being an amazing part of our community and choosing to lead by example with your health!